Monarch 9825 - Standard Plastic Cover, 203 dpi Printhead, RS-232/USB/Parallel Interfaces, 6 IPS, 66 MHz 32 bit Processor, 2 MB Flash, 4 MB SDRAM. Inlcudes Power cord. 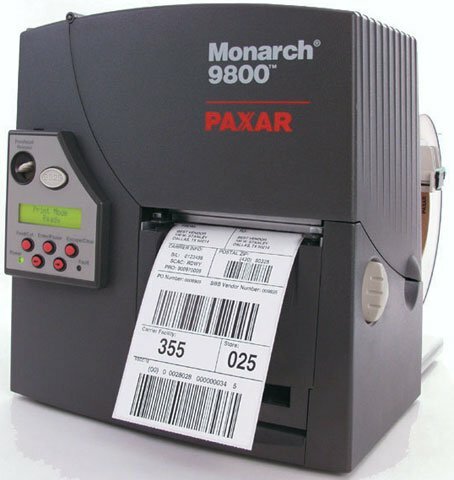 The Monarch 9825 tabletop barcode printer is loaded with features to help you run your distribution center, manufacturing facility or retail store more efficiently and economically. The printhead is customer replaceable, reducing costs and eliminating printer downtime. Less downtime means more product through the pipeline for more money and greater profits! The 9825 offers a wide array of the latest in connectivity, with USB, parallel and serial ports standard. The Monarch M09825-01 is also known as Paxar	MON-M0982501	or M0982501	.